tension-filled and unpredictable films you’ll see this (or any) year. remorse, and you’ll love it. difficult when their gig takes a violent turn for the worst. he keeps it subtle as the leader and venue-owner of the Nazi gang/club. now things will turn around for these kids!” Nope. It’s like George R.
R. Martin wrote a movie about punk rock and skinheads. way in which this movie is a huge success is in its thematic depth. systems, both in terms of fascist Nazism, down to the punk lifestyle. to include, but that it did only makes it that much better. 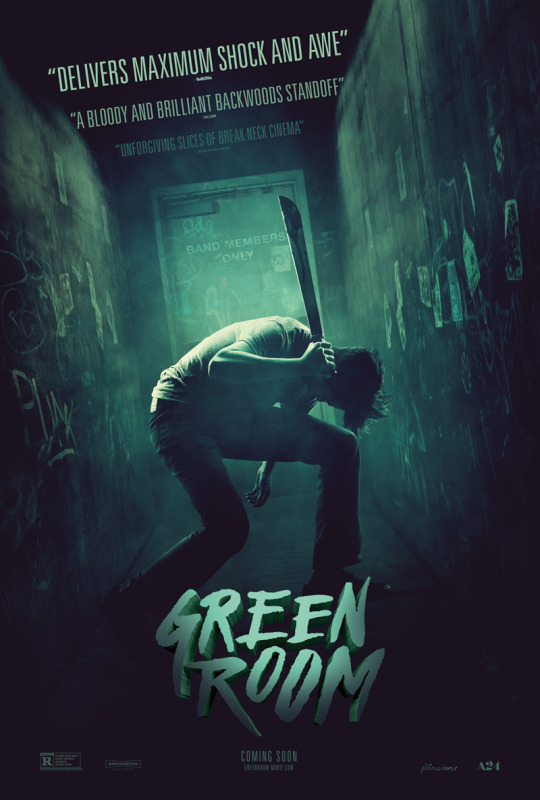 you’re into that sort of movie, Green Room is right in your wheelhouse. this long, thanks for reading!